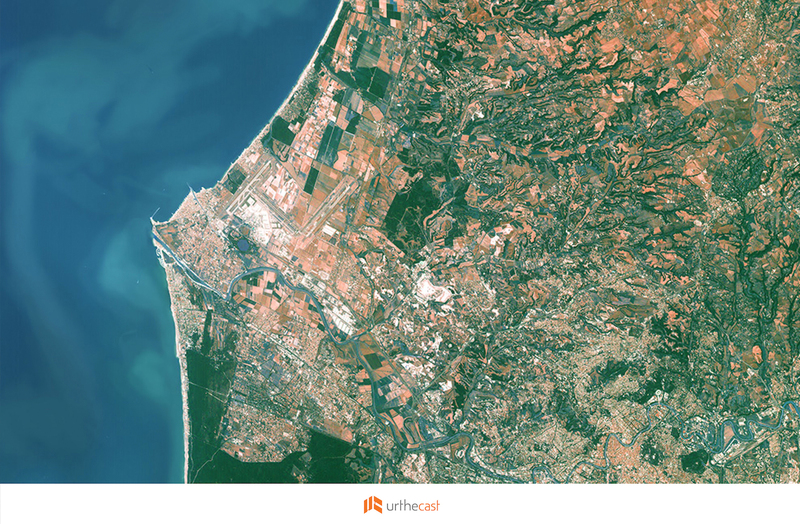 So you’ve been interested in incorporating UrtheCast’s medium-resolution imagery into your products and/or research — now is the time to visit our Theia order page, from where you can download Theia product samples and spec sheet. Simply click here, and provide us with your name, email, and organization. Once you’ve submitted your details and click the ‘download’ link, we’ll provide you with sample Theia imagery and a detailed PDF describing the camera specifications. Similar to the imagery featured on our First Light page, the images that Theia delivers can be used for everything from agricultural monitoring to forest management. If at any time you have questions about the ordering process or our imaging capabilities, our Customer Experience Team is available to field all of your questions. For further details related to UrtheCast imagery and products, our Customer Experience Team is available, Monday through Friday, 6am to 6pm PT, by calling 1-800-669-3713 or emailing CX@urthecast.com.